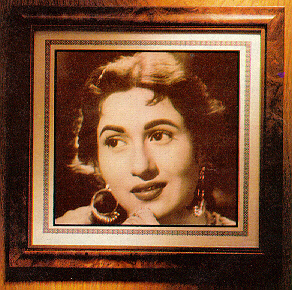 Madhubala, the Venus Queen made her Debut into the Bollywood with pluck, patience and panache. Her unforgettable memories stirs the depth of the soul with her sweet, sensuating smile which leaves lasting impressions on mind. She became the heartthrob of many and carved a niche to the top as the most sensational star of the decade. I'm grateful for this lovely day, You walked inside my gate!"